Diagnostic imaging is a powerful tool for car accident claims — but that’s true for insurance companies as well as plaintiffs. Personal injury attorneys often seek MRI scans and X-rays to demonstrate undeniable proof of injury. On the other hand, insurance companies will pounce on any hint of a pre-existing condition to avoid hefty payouts. Don’t let insurers confuse the jury on the subject. In most states, a long-standing legal doctrine upholds the plaintiff’s right to damages in car accident cases. Pre-existing conditions are rarely the lone cause of injury for victims of car wrecks, and aggravating a condition still counts as injury. Here’s what you need to know about car accident claims involving evidence of a pre-existing condition uncovered during imaging tests. 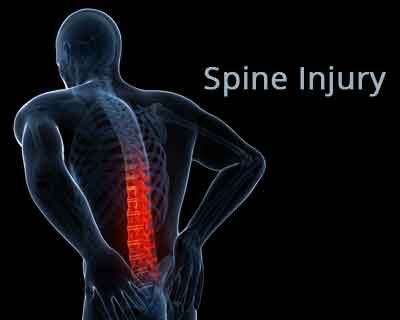 Suppose you have a client who has been in a car accident, and is now suffering from lower back pain. An MRI scan reveals lumbar strain, but it also shows clear signs of degenerative disc disease. The insurer is likely to argue that the pre-existing condition reduces their liability for the injury. This is by no means a rare scenario. Degenerative disc disease is extremely common; in fact, disc degeneration is all but inevitable for people older than 60. But many people who technically meet the diagnostic criteria for the condition don’t experience any symptoms at all. The question under the law is not whether the pre-existing condition caused the injury; it is to what extent the accident produced the damage. The patient’s susceptibility to injury should not affect the value of the settlement; the court must consider the extent of the injury, not the plaintiff’s fragility. The Eggshell Doctrine is well established in most states. The maxim holds that defendants remain responsible for at-fault injuries regardless of the plaintiff’s pre-existing health conditions. In the above example, this would mean that, if the car accident led to a lumbar sprain in the victim, the presence of asymptomatic degenerative disc disease should not invalidate the claim. In short, there’s no need to worry that an MRI scan, X-ray, or other form of diagnostic imaging will harm the plaintiff’s case. Even if advanced imaging techniques reveal pre-existing conditions, if the victim was injured in a car accident and another driver was at fault, the case remains strong. Precise Imaging works with personal injury attorneys to obtain restitution for plaintiffs in multiple states. We offer the experience, flexibility, and patient-centered care it takes to win car accident cases, and we offer a suite of resources just for attorneys. Browse our online tools for lawyers here. To book an appointment for a client, call Precise Imaging at 800-558-2223 today. On December 22, 2017, the U.S. President signed the Tax Cuts and Jobs Act, more properly known as Public Law No. 115-97. This law makes sweeping changes to tax brackets and multiple changes to once-familiar deductions. As it turns out, though, the new tax code also has major impacts on plaintiffs awarded settlements or damages in personal injury cases. In short, payments resulting from personal injury cases are not always tax-free. In fact, thanks to the new rules, plaintiffs may end up paying taxes on money that they never receive in the first place. The latest tax overhaul adds to the confusion of an already-complex taxing situation. Only compensatory damages are eligible for tax-free treatment. Personal injury damages can be either compensatory or punitive. Only compensatory damages — funds awarded to make up for losses, such as medical payments, property damage, or reduced earning potential — qualify as tax-free. Punitive damages, intended to dissuade the defendant from similar action in the future, are taxed as plaintiff income. 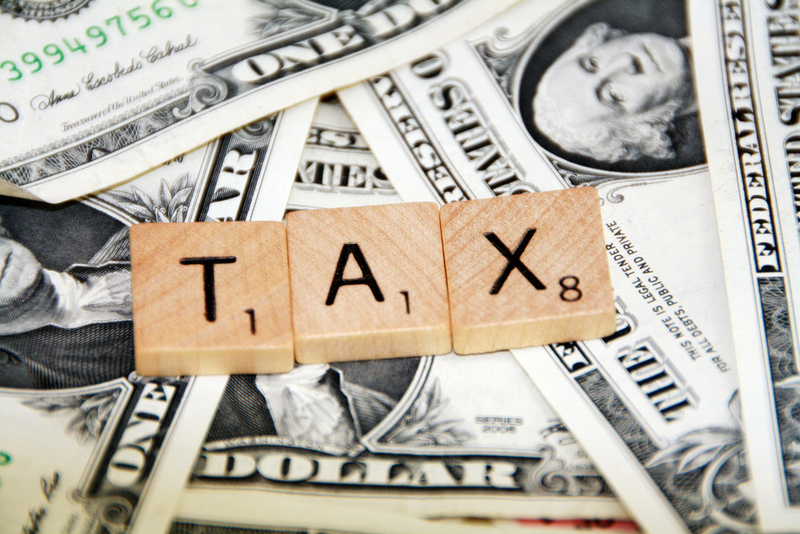 Emotional distress — and physical manifestations of emotional distress — are subject to taxes. Plaintiffs in personal injury cases sometimes receive awards for mental anguish or emotional distress. The IRS taxes these funds as income. Only damages awarded for physical injury or illness may escape taxation. Of course, developing research attests to the close relationship between the body and the mind. Emotional distress can lead to physical symptoms, many of which mirror those of a physical illness. However, even if mental anguish leads to physical symptoms, and the plaintiff receives damages reflecting the condition, those funds remain taxable as income. The root cause of the illness or injury must be physical for damages to go untaxed. Damages awarded for emotional distress resulting from a physical injury may be tax-free. Here’s where the existing tax code gets tricky. Damages reflecting emotional distress that leads to physical illness are taxable income. However, damages reflecting emotional distress arising from physical illness may, in fact, be tax-free. As attorney Robert W. Wood points out in Tax Notes, this leads to a difficult chicken-and-egg dance between collecting plaintiffs and the IRS. An unthoughtful worded case could lead the IRS to conclude that injuries are primarily emotional, and therefore fully taxable. On the flip side, a cleverly worded argument may place the primary injury in the physical realm, leading to tax-free damages. Note that in either case, the symptoms may be identical — under tax law, the real question is which came first: The physical or the mental injuries? Under the new tax law, plaintiffs cannot deduct taxable recovery payments including those that go to pay legal fees. This is perhaps the Tax Cuts and Job Act’s most striking change to taxation of personal injury damages. Plaintiffs with contingent-fee attorneys, who take payment as a percentage of the damages or settlement, are now responsible for taxes on the full value of the taxable pay-out. Under previous law, the plaintiff could deduct legal fees taken out of damages. No longer. Say a plaintiff receives $1 million in damages for emotional distress. This is taxable income, according to the IRS. Now, say this plaintiff hired a contingent-fee attorney, who collects 50 percent of the damages. The plaintiff will walk away from the case with $500,000, but will pay taxes on the full $1 million. Legal fees associated with workplace claims may, in fact, be deductible. In some cases, plaintiffs can escape the tax burden of their legal fees. Claims against an employer may allow the plaintiff to deduct legal fees. If the defendant is not the employer, though, plaintiffs are on the hook for taxes on the full amount of damages or settlements, regardless of what their legal team takes home. Given the shifting legal ground and the tax complexities associated with personal injury lawsuit damages, plaintiffs should work with tax professionals to ensure they meet all obligations under the law. Tax laws surrounding personal injury cases get terribly complicated. Consider, for instance, that many cases involve damages with a mixture of taxable and non-taxable awards. For instance, a plaintiff may be awarded half the damages for emotional distress not arising from physical injury, and the other half for the injury itself. That plaintiff would have to pay taxes on the amount awarded as compensation for the emotional injury, but not funds deriving from the physical ailment. If settlements aren’t written very carefully, with exact amounts attributed as compensation for exact conditions, the tax obligation becomes very murky indeed. As in cases of medical care themselves, these issues are best left to the professionals. Taxes on personal injury settlements in the wake of the Tax Cuts and Jobs Act are certainly not for the faint of heart. Note: This analysis is not intended as legal advice. The Tax Cuts and Jobs Act of 2017 made headlines by dropping the corporate tax rate from 35 percent to 21 percent. While that sounds like great news for every business, many personal injury attorneys operate as pass-through entities—not corporations. Pass-through businesses can take a new deduction—but only under certain income limits, and odds are attorneys don’t make the cut. Certain pass-through organizations—sole proprietorships, partnerships, and S corporations, for example—can deduct up to 20 percent of business income from their taxes under the new law. But the benefit scales down at a certain income threshold, and many personal injury attorneys may not be able to take advantage. The deduction cap is reduced at a limit of $175,000 for single filers and $315,000 for married couples. At an annual income of $415,000, the deduction disappears entirely. Firms that are organized as corporations will benefit from the reduced corporate tax rate. Of course, not every personal injury firm is organized as a pass-through. Businesses that are taxed as corporations can take advantage of the heavy drop in the corporate rate, which, as we mentioned, dropped from 35 percent to 21 percent. Contingent-fee attorneys in the Ninth Circuit narrowly avoided an end to deduction benefits. At Precise Imaging, we work with lots of contingent-fee lawyers, thanks to our flexible payment program that includes liens and letters of protection. So we know that deductions for these legal firms operate differently in California and the rest of the Ninth Circuit than they do elsewhere in the nation. Attorneys who work through gross fee contracts, in which they agree to pay legal costs through their own percentages at the conclusion of a case, are allowed to deduct those costs. An early draft of the Tax Cuts and Jobs Act ended this deduction for the Ninth Circuit, but by the time the President signed the bill into law, that provision was gone. So contingent-fee attorneys with gross fee contracts can continue to deduct costs in California and elsewhere. This last point brings us to the services we at Precise Imaging provide for personal injury attorneys. Diagnostic imaging can be considered a legal cost, and as such, the expense is often deductible for Ninth-Circuit lawyers with gross fee contracts. To discuss the ways diagnostic imaging can help with a personal injury case in California and beyond, or to learn more about liens and letters of protection for imaging services, call us at 800-558-2223. Traumatic brain injury (TBI) can be one of the most devastating results of an at-fault accident, in a car, on the job, or even just walking down the sidewalk. The sheer volume of human systems that the brain controls — all of them, essentially — leads to an extraordinarily diverse set of symptoms in cases of TBI. Convincing judges and jurors that these disparate symptoms can all be traced back to a preventable injury is not always easy. The irony here is that a moderate or severe TBI can lead to challenges that most deserve restitution. Some brain injuries are so severe that they deprive the victim of the ability to work. Others might even prevent a patient from participating in the tasks of daily living necessary for independence. If a client in a TBI-related personal-injury case is to be made whole, settlements may have to provide for them for the rest of their lives. This combination of high stakes and soft proofs makes it imperative that attorneys in such cases understand diagnostic imaging. After all, while a defense team may be able to convince the judge that behavior changes are unrelated to an accident, it is hard to argue with an image of a damaged brain. Different modalities excel at documenting different types of injuries. Radiologists are likely to use standard diagnostic tests like CT and MRI scans to diagnose TBI. They might order X-ray scans, but only in cases of suspected damage to the skull; X-ray images do not differentiate between soft tissues. Doctors might even prescribe advanced imaging techniques, such as perfusion CT, diffusion tensor imaging (DTI), or magnetoencephalography, a form of fMRI. CT scans without contrast are the primary modality used to identify most primary, acute injuries. A TBI is not a single injury, but a cluster of related events. Doctors divide TBI into primary and secondary injuries. The first occurs at the moment of impact, causing a chain-reaction of events within the brain that often lead to further damage: secondary injuries. This is why doctors typically prescribe ongoing diagnostic imaging for TBI patients. While advanced imaging modalities including brain-function tests like PET scans and functional MRI may identify secondary injuries, the first-line test for diagnosing primary TBI is the noncontrast CT scan. This is the fastest way to accurately expose bleeding that requires immediate surgery. Doctors use MRI scans to identify certain types of TBIs that do not always show on a CT scan. While doctors typically order CT scans first, there are some types of TBI that require MRI for identification. When a primary TBI does not result in intracranial bleeding, MRI scans are often the better choice. Injuries that the MRI identifies better than CT scans include brain bruising and traumatic axonal injury (TAI), shear-strain damage to white matter caused by the brain’s rapid acceleration within the skull. As in any case involving diagnostic images, attorneys should engage expert witnesses such as neurologists or radiologists to explain what’s going on in the pictures. 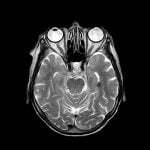 This is particularly important in brain-function scans, such as fMRI and PET scans, which are often inscrutable for untrained viewers. The good news for attorneys new to TBI cases and the diagnostic interventions that document them is that expert help is available. This brings us to our next point. Personal injury lawyers and their clients deserve the chance to focus entirely on a TBI case. That can’t happen when they’re navigating complex scheduling systems at large hospitals or arguing with insurance companies. That’s why Precise MRI always strives to provide for attorneys and their clients with what they need, when they need it. Precise MRI offers quick turnarounds on radiology reports, with same-day scans and results within 24 hours. We provide more than 70 imaging centers in California, Arizona, and Nevada for convenient, close-to-home access for patients. Our friendly scheduling staff will find an appointment that works for your client, even on weekends and evenings. Attorneys themselves have their client’s crucial information at their fingertips thanks to an online portal designed for legal professionals. It’s available 24/7, and so is IT service, ensuring that patients and their lawyers can access medical data at their own convenience. We accept personal injury liens — and even offer a free, downloadable lien form for immediate access — and attorney letters of protection for personal injury. Our teams of fully certified medical professionals have long-term experience working with attorneys on all sorts of personal injury cases, including those involving TBI. Even more important, they’re devoted to a patient-based model of care, and work hard to ensure quality, comfort, and convenience for all. To learn more about attorney resources from Precise Imaging, or to schedule a CT or MRI scan for a client, call us today at 800-558-2223. Hill CS, Coleman MP, Menon DK. Traumatic Axonal Injury: Mechanisms and Translational Opportunities. Trends in Neurosciences. 2016;39(5):311-324. doi:10.1016/j.tins.2016.03.002. Kim JJ, Gean AD. Imaging for the Diagnosis and Management of Traumatic Brain Injury. Neurotherapeutics. 2011;8(1):39-53. doi:10.1007/s13311-010-0003-3. It’s difficult to overstate the importance of diagnostic images in spinal injury litigation. When properly presented, a diagnostic image offers clear, compelling evidence—but if the image doesn’t clearly show the injury, or if there’s any question as to the validity of the attorney’s interpretation, the entire case can be compromised. Of course, every personal injury attorney understands these points, but in order to use images effectively, they should understand the basics of different imaging technologies. That includes the tactics that radiology professionals must employ to deliver high-quality, diagnostically relevant images. The first consideration is the severity and location of the injury. Magnetic resonance imaging (MRI) provides the best diagnostic images for spinal cord and soft-tissue injuries, both for radiology professionals and for laypersons (while diagnostic images need to be evaluated by a trained professional, the images are obviously more useful to attorneys if the injuries are clearly visible and easy to explain). MRIs can show chronic issues such as spinal misalignment. Spinal fractures are easier to identify via computed tomography (CT), while spinal vascular injuries can be evaluated with either technology. In any case, trained radiology professionals working with the latest tech can discern a surprising amount of information, including the approximate age of the injury, which can help attorneys build winning cases. Personal injury attorneys should keep other practical considerations in mind when directing their clients. As mentioned earlier, timing is often a crucial factor, particularly in spinal fracture cases. An imaging facility should be able to produce high-quality results quickly and at a fair cost — and, for the benefit of the attorney, those images should be in commonly used digital formats, ready for reproduction. Many attorneys choose to highlight certain parts of MRIs and CT scans with software designed for the purpose; without exceptional images, this can be a difficult process. 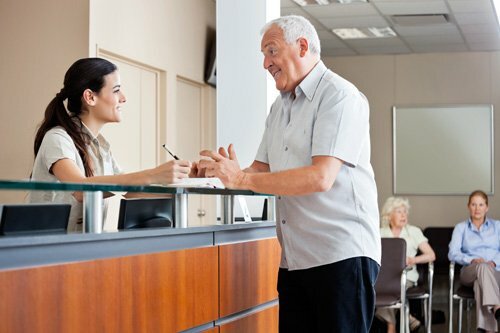 Finally, as we’ve mentioned on other blogs, imaging centers should be prepared to handle various types of remuneration and should have experience with workers’ compensation and letters of protection. Precise Imaging offers dedicated tools for attorneys through a specialized HIPAA-compliant web portal, which provides 24/7 access to images, case details, and payment information. We’re dedicated to keeping patients comfortable, and with more than 70 facilities, we offer unequaled access to qualified imaging experts and state-of-the-art technology. Parizel PM, van der Zijden T, Gaudino S, et al. 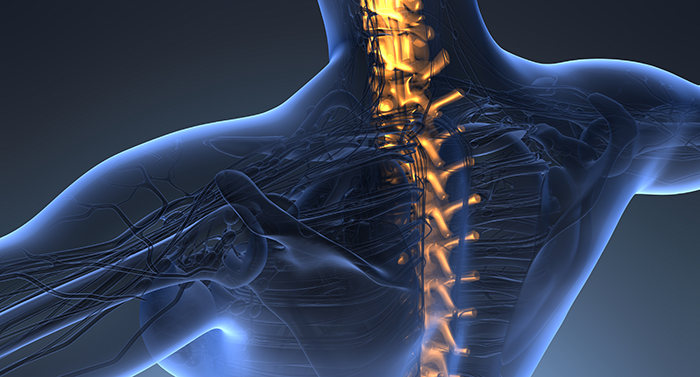 Trauma of the spine and spinal cord: imaging strategies. European Spine Journal. 2010;19(Suppl 1):8-17. doi:10.1007/s00586-009-1123-5. Ellingson BM, Salamon N, Holly LT. Imaging Techniques in Spinal Cord Injury. 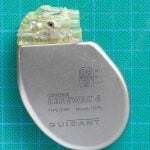 World neurosurgery. 2014;82(6):1351-1358. doi:10.1016/j.wneu.2012.12.004. If you had to pick one book to be the authority on assessing personal damage in U.S. tort-civil law, you might choose The American Medical Association’s Guides to the Evaluation of Permanent Impairment (AMA Guides). Personal injury law is more complicated than a single book could encompass, of course, but to this day, many U.S. courts rely on the systems set forth in the AMA Guides to determine a “quantitative estimate of function losses” within a victim’s life. Many states use the AMA Guides to settle questions of workers’ compensation and disability claims. The AMA Guides assessment can also be a powerful tool in a personal injury case. Note that the types of losses evaluated in the Guides may lead to pecuniary and/or non-pecuniary damages. In the former category, the Guides systems might uncover a loss of earning capacity or, in cases of disability, the necessity of long-term care. The AMA’s Guides to the Evaluation of Permanent Impairment may also play into a claim of quality-of-life loss or limited ability due to the injury, both non-pecuniary damages. As we’ve mentioned in previous posts, diagnostic imaging can also occupy a major role in personal injury cases. So the question is: How do The AMA’s Guides to the Evaluation of Permanent Impairment implement diagnostic imaging as a factor in their determination systems? And which modalities most clearly demonstrate injury, according to the Guides? In assessing impairment or disability, as in health care itself, diagnostic imaging plays an outsized role. The AMA Guides present each body system in its own chapter, introducing principles of assessment for each system. In nearly every chapter, some form of diagnostic imaging appears in the Guides’ assessment criteria. 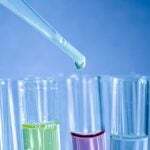 The results of all diagnostic studies — including imaging — must also be part of the physician’s report, according to the Guides. Editions matter. Depending which state you’re in, the worker’s compensation code may defer to the 6th and latest edition of the AMA Guides — or it might not. Some states use the 5th or even earlier editions, while others prefer state-specific criteria for evaluating injury, unrelated to the Guides. And while these codes relate specifically to worker’s compensation rather than personal injury cases, the court’s familiarity with a particular edition could add up to more compelling evidence of preventable injury and lasting impairment. Differences between editions complicate the evaluating physician’s choice of imaging modality. For instance, according to analysis from health care news site Medscape, methodology changes between the 5th and 6th editions of the Guides upend the rules for assessing impairment in a knee joint injury. So should an attorney ask the evaluating physician for an X-ray or an MRI scan in a knee-injury case? It may depend on which court tries the case. The 5th Edition of the AMA Guides makes the important point that the results of an imaging study alone aren’t enough to classify an injury as impairment or disability. The purpose of an assessment using AMA Guides systems is to establish a diagnosis-related estimate, or DRE. DRE categories are a measure of the “impairment of the whole person,” expressed as a percentage range, with 0 percent impairment equating to no injury and 100 percent representing imminent mortality. So where does all of this leave personal injury attorneys considering the inclusion of diagnostic imaging into a particular case? The key is to work as closely as possible with the client’s attending physician or, in some cases, a court-approved health care provider. In the medical setting, imaging is a crucial part of diagnosis, which is necessary for healing. In a court of law, radiographs and MRI scans are just as valuable — but for the very different purpose of assessing injury for a fair damage claim. Interested attorneys can purchase a copy of The American Medical Association’s Guides to the Evaluation of Permanent Impairment at the AMA webstore, here. For more information on how Precise Imaging can help personal injury firms better serve their clients, see our Attorney Resources page, or contact us at 800-558-2223 today. Personal injury liens help victims obtain medical treatment and stay afloat financially while their case is being decided. 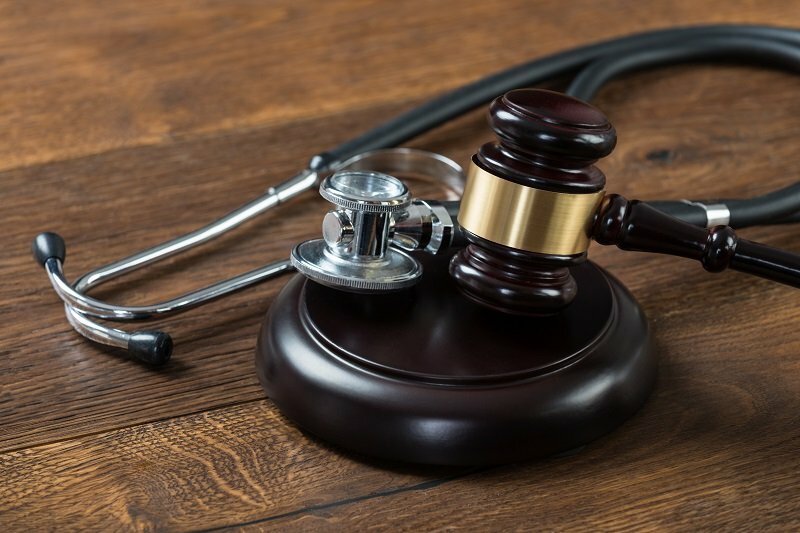 While this agreement entitles medical centers to repayment after a case has been settled, it can be greatly beneficial to attorneys and their clients as well. 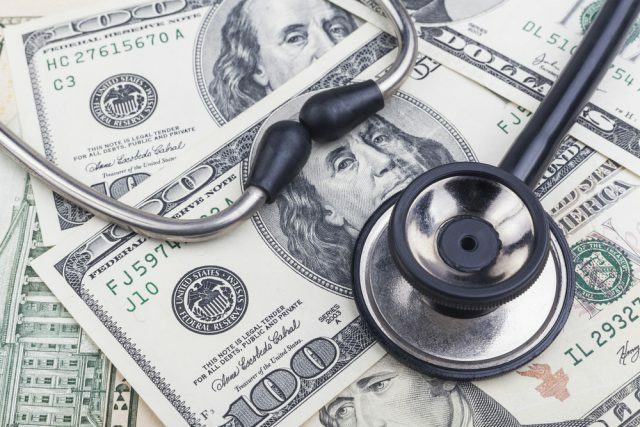 Because many people cannot afford to pay major unforeseen medical bills, liens provide a lifeline until a settlement is reached, and attorneys benefit by ensuring that their clients get medical procedures and imaging completed in a timely manner. Still, there are a few things to consider when advising clients on this complicated subject. The first thing to consider is what kind of experience the health care facility has with liens. Many smaller medical centers and imaging facilities don’t accept personal injury liens; others may have a poor history of working out reimbursements. While the client may not have a choice of their initial point of care, they can certainly choose where subsequent imaging is done. And that medical imaging is important for not only the person’s future medical care, but also the outcome of their personal injury case. Magnetic resonance imaging (MRI) scans can make or break a case. Some physicians are reluctant to order MRI scans for accident victims — they feel that the scanning technology is so good at detecting problems that it can reveal false positives through asymptomatic abnormalities. However, there are many reasons that American courts encourage MRI scans. For one, an MRI scan is completely objective. While radiologists may have differing interpretations of the scans, the scans themselves cannot be manipulated to distort the truth. That makes for powerful evidence to a judge or jury. Seeing the results of negligence in a black and white scan trumps many other forms of evidence. Furthermore, seeing clear evidence of an injury can increase the value of a claim. Injuries in the brain, spinal discs, nerves, and joints can be difficult to verify without this state-of-the-art imagery. An MRI shows what many other forms of imaging cannot, and that’s makes it invaluable to winning and maximizing personal injury lawsuits. Of course, some patients may be reluctant to get MRI scans for a variety of reasons. In these cases, victims of injury should be aware of how beneficial these scans can be for correct diagnosis and beginning recovery (not to mention, winning a case). Magnetic resonance allows doctors to pinpoint the source of an injury with the very latest technology available. Some people hesitate to complete scans because of anxiety over claustrophobia. These fears are completely understandable, but there has been progress in recent years in making the technology more patient-friendly. For instance, open MRIs can help keep patients calm by eliminating the closed spaces that exist in traditional MRI machines. Even simple strategies, like prescribing an anti-anxiety medication or providing headphones with music can help anxious patients get through a scan. Choosing an imaging center with personal injury experience can make the process easier for patients and attorneys. The biggest reason is that facilities with experience offer a patient-centered focus and streamlined approach to accessing medical images. These facilities understand HIPAA regulations, know the preferred formats for images, and offer web portals for easy accessibility. Using a single, preferred diagnostic company can also simplify caseloads for attorneys. By relying on a trusted imaging center, firms know that crucial evidence is always just a click away — no matter what time of day. Attorneys can also trust that their clients are getting the best rates, so that injury victims can hold onto the lion’s share of their settlement. Finding a diagnostic imaging center that can handle time-sensitive requests is also important. Many hospitals experience lengthy delays in scheduling scans. Because Precise Imaging has over 70 locations, we can schedule same-day scans. Even better, our radiologists will file reports no later than 48 hours after the scan (and sometimes much sooner). The quick scheduling and prompt reading allows personal injury cases to clear significant hurdles without taking up too much time. Look for an imaging center with web portals for attorneys. Because legal cases are time-sensitive, having a 24-7 web portal available is crucial. Precise Imaging provides such portals so that attorneys can access important information night or day. Our web portals provide medical images, payment information, and case details, all while fully complying with HIPAA regulations. This service keeps attorneys organized and on track without having to rely on the medical center being open for service. Our facilities are well-acquainted with the needs of personal injury lawyers, and our patient-centered facilities can comfort distraught patients who have recently suffered injuries. We offer a number of anxiety-reducing strategies to make our MRI scans as comfortable as possible. We can schedule scans for the same day and get you results within 48 hours. All of the information an attorney or patient needs to access can be found on our 24-hour-per-day web portal. These services simplify a personal injury case and keep you on track. We have partnered with patients and attorneys for thousands of personal injury cases and take our responsibilities to all parties seriously. We are prepared to accept all forms of payment, including workers’ comp, liens, and deferred payment (through a letter of protection). Precise Imaging makes scans fast and easy for patients and provides streamlined results for attorneys. If you’d like to partner with Precise Imaging for your personal injury cases, call 800.558.2223 or make an online referral here. “7 Steps to Approaching Lien Claims in Personal Injury Cases.” FindLaw.com. n.d. Web. 3 May 2018. Coye Law Firm. “What Is A Letter Of Protection? Learn More About The Pros And Cons Of Using A Letter Of Protection Or LOP.” HG.org n.d. Web. 3 May 2018. Jacobson, Martin & Schweers, R. “Ethical Considerations in Personal Injury Settlements and Lien Resolution.” Bill of Particulars. Vol. 1 2012. Web. 3 May 2018. 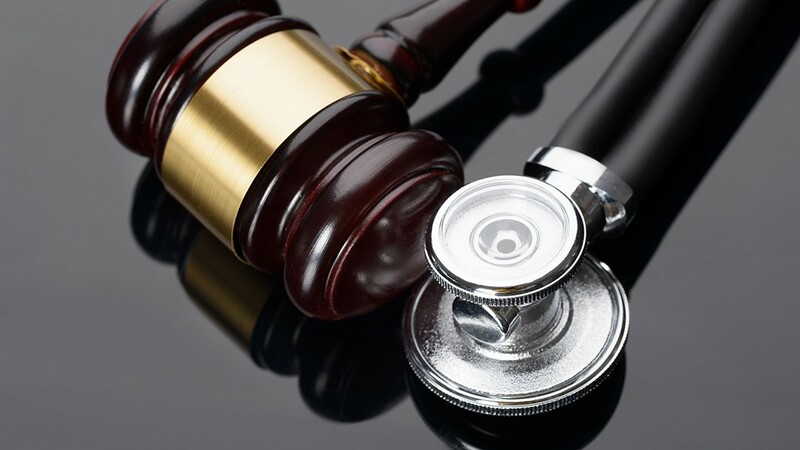 “Medical Liens: A Primer.” The Steve Dhillon Law Firm. n.d. Web. 3 May 2018. Weiner, Ron “Lien vs. Subrogation.” MedLien Solutions. 3 Nov. 2015. Web. 3 May 2018.